At Choice Cottages we have the best exclusive collection of holiday cottages by the sea, all these cottages are within walking distance of some of the best blue-flag beaches the UK has to offer. Croyde Bay was voted in the top 10 beaches in the UK and other beaches, including Putsborough, Saunton, Woolacombe and Westward Ho! are equally spectacular. The unspoilt long sandy beaches are perfect for learning to surf, taking up boogie boarding, playing a game of touch rugby or flying that new kite. 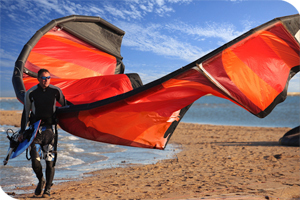 Most beaches are monitored by life guards in season, so you can trust your children will be looked after. Devon also boasts stunning estuaries and dunes, such as the historic Braunton Burrows, (where rehearsals for the D-Day landing took place) , and which offer an worthwhile alternative to the beach. Our experienced knowledgeable team are more than happy to assist you in recommending local surf and surf-hire outlets. For your convenience, a selection of our properties include outdoor shower areas or wet rooms, while many will also include secure storage for your surf gear. For that something extra, why not consider one of our carefully selected properties that offer a pool or hot-tub to relax in after a long day at the beach. Our seaside holiday cottages are the no.1 choice for most people, including those that require dog friendly accommodation, so we recommend that these popular UK holiday cottages are booked early to avoid disappointment. To view all our seaside holiday cottages please see below, alternatively if you would prefer to search by date and criteria please use the search on the left hand side. Your search returned 91 properties.